There is a new scourge on the highways of America that is responsible for as many traffic accidents and motor vehicle fatalities as driving under the influence of drugs and alcohol. That scourge is distracted driving. Because of the invention of the iPhone giving people instant text communications, nearly every person uses this device for communicating with friends, family members, and business associates. Although texting while driving is against the law, those communications do not stop when a person gets behind the wheel to drive, and as a result, the number one cause of distracted driving today is texting while driving. Statistics published by the National Highway Traffic and Safety Administration illustrate how deadly texting and driving has become. Since the invention of the smartphone around 2010, traffic accidents and fatalities have been rising at a rate of around 10% per year. A person is six times more likely to be in a traffic accident when texting and reading notifications on their smartphones while driving than if a person is driving under the influence of drugs and alcohol. Approximately 50 percent of adults admit to texting and driving. Nine people nationally are killed on average every day due to texting and driving. The reason why texting and driving are such a deadly combination is that a driver is required to take their eyes off of the road for a period of time to read or write a text message. For each five seconds that your eyes are off the road, a vehicle traveling at 55 mph travels the distance of approximately 100 yards. That distance doubles for every 10 miles per hour over 55 mph that the driver is driving. It is easy to see how an unexpected bend in the highway or swerving into the other lane or into oncoming traffic would be easy to do if you take your eyes off of the road for a period of time. If you have been injured or have had a loved one killed due to the negligence of a driver texting while driving, or for any other reason, please give our law firm a call. We can help you to recover medical expenses, lost income, and other damages due to your pain and suffering. You need a Connecticut distracted driving accident lawyer with experience—someone who has helped victims like you for more than 25 years. 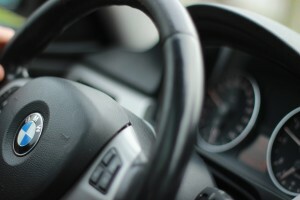 Eagan, Donohue, Van Dyke & Falsey, LLP’s Connecticut accident lawyers have handled numerous texting and distracted driving accident cases for their clients. 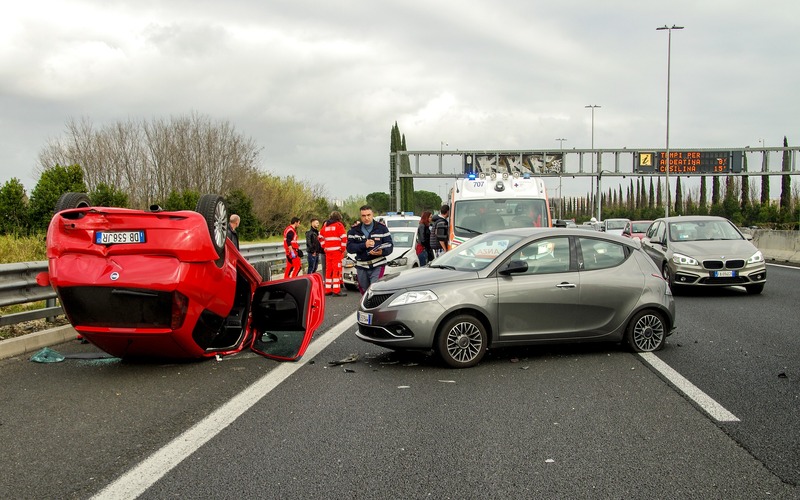 There are several critical things to remember if you are involved in an automobile accident. Take a moment to read them so that you will not have to stop and think if you are involved in an automobile accident. If you leave the scene of an automobile accident before the police arrive and release you, you may be charged with leaving the scene of an accident, a serious crime in Connecticut. If found guilty, you could face up to 10 years in prison and fines up to $10,000 for leaving the scene of an accident where someone died or was seriously injured. When you are in an automobile accident, regardless of who is at fault, lives could be on the line. If you have access to a phone, call 911 immediately. If not, try and wave down the next passing vehicle. Nothing is more important than the health and safety of all those involved in the accident and the sooner you can get medical professionals on the scene, the more lives that will be saved. A cell phone will not do you much good if you cannot find it. The problem with leaving your cell phone on the seat of your car or on the center console is that in the event of a violent collision it will probably get lost. If you had the foresight to turn off your cell phone and put it in your pants pocket before getting into the car you will know exactly where it is and you can make that life-saving 911 call. Sometimes others not involved in the accident will stop and can make that 911 call for you, but you cannot rely on that. Often you will be the only car involved or there will be only one or two others and everyone must take responsibility for making that initial 911 call. If anyone other than the police asks you questions you should remain silent. Sometimes an insurance adjuster can be on the scene as fast as an ambulance and they will attempt to get you to make incriminating statements. Don’t let another draw you into an argument as to who was at fault. Insurance adjusters, even the ones from the company that holds your policy, are not your friends and work for the insurance company. In the event of an accident, their job is to eliminate or minimize the amount of money that the company must pay. Do not talk to insurance adjusters. After you have made that 911 call and administered first aid to others it would be a good idea to call the Connecticut personal injury lawyers at Eagan, Donohue, Van Dyke & Falsey, LLP’s. Our firm is comprised of Connecticut automobile accident lawyers who have handled numerous wrongful death matters and injury claims arising from any and all automobile accident situations. Over the years a person accumulates assets and it is only natural that one’s thoughts gravitate towards making sure that our loved ones benefit from the fruits of our labors. No one wants to die and have the state decide how best to distribute your assets, often forcing their liquidation during untimely market conditions. Preparing a will is designed to carry out your wishes as to how to distribute your assets upon your death and is an obvious benefit to your loved ones after you have passed. In addition to providing for your wishes after you die, you might also want to consider drafting a “living will” that addresses certain critical medical issues before you die. A living will instructs medical personnel what to do in the event you are incapacitated, in a coma or a vegetative state due to any reason such as an auto accident, stroke or other condition or disease, and not able to instruct the doctors yourself. A Connecticut living will instructs doctors what to do and what not to do in terms of providing life-extending medical services. A commonly used life support machine is called a ventilator. This machine pushes air through the lungs for a person who cannot breathe on their own. The instructions detailed in a living will are made with the interests of your loved ones in mind, those that will be affected the most by your incapacitation. As we get older our loved ones are usually adult children that have their own lives and we may not want to burden them with caring for a terminally ill vegetative parent. If you are considering what to do in terms of extending your life on life support should the situation arise you should contact our law firm to go over the legal requirements to set up a living will. By using an attorney and not trying to file on your own you will benefit from the experience of our Eagan, Donohue, Van Dyke & Falsey, LLP’s living will attorneys that have successfully set up and filed hundred of living wills in the past. Give us a call today. 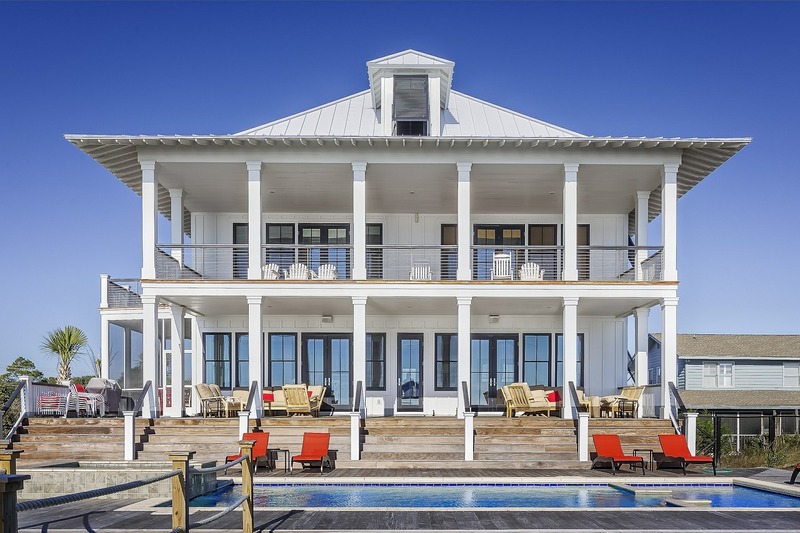 There are many technical legal reasons why you should be represented by an attorney when buying a house and none is more important than understanding the adversarial relationship between the buyer and the seller. The seller is usually represented by a real estate broker or agent and their goal is to get the maximum sales price for the property. Your lawyer will help you understand the purchase and sales agreement and make sure your interests are protected. A good real estate attorney will analyze the results of the home inspector whose job it is to assess the condition of the property. 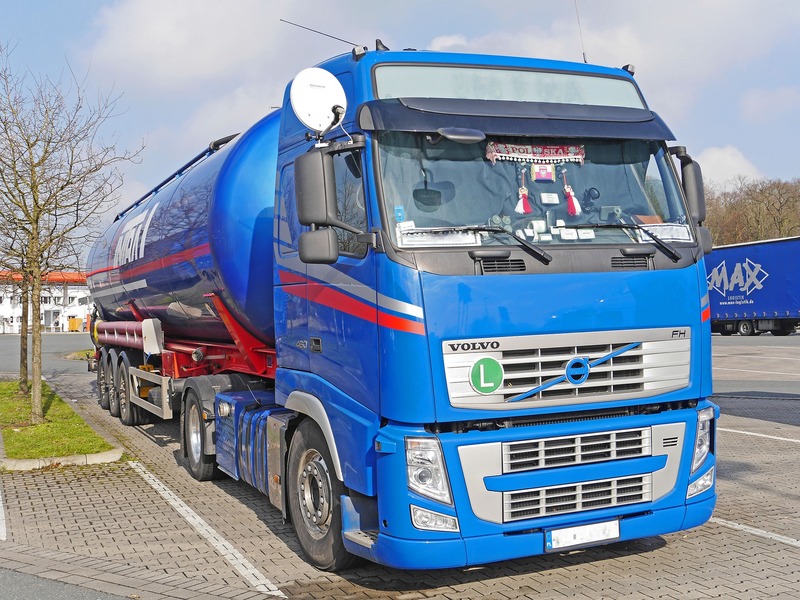 Simply passing inspection is not good enough as problems may be lurking down the road. Critical elements of the home inspection that could be overlooked or “sugar-coated” are the condition of the roof, the condition of the septic tank and any known problem with the drinking water. Lead paint or lead in drinking water pipes can also pose a health risk. There may be a structural problem caused by termites that is painted over or otherwise overlooked. The backyard could be subject to flooding during the rainy season. Another reason to have an attorney when buying real estate is to make sure that the financing company that you are using does not try and pull a fast one at closing. Many a home buyer thought that they would be paying one interest rate only to find out at the last minute that the rate had gone up and they would have to pay a higher monthly payment. Your attorney can advise you if it may be to your benefit locking in an interest rate when you get a loan commitment letter so that there are no last minute surprises. Your attorney will also make you aware of any hidden commissions or fees and you’ll know exactly how much in commission you are paying to your mortgage loan representative. If you are buying a home in the greater Connecticut area, give us a call. Connecticut real estate lawyers Eagan, Donohue, Van Dyke & Falsey, LLP’s represent individuals refinancing, purchasing, or selling single and multifamily homes, condominiums, new construction, and vacant land. For the most obvious of reasons, people chose to engage in the activity of boating in the summer months when the weather in Connecticut is the hottest and most humid. Getting out on the ocean on a boat, whether by sailboat or by motor boat is as popular a summer activity as any to enjoy the company of friends, relax or to just cool off. Like a summer weekend barbecue, a wedding or graduation reception, getting out on the boat is a reason to party in and of itself and nine times out of ten, the boat party involves alcohol. With no police in site and little restrictions, boat owners think that they are free to drink as they wish without consequences. That is simply not the case and the Coast Guard or State Police can stop and board your boat if they have reason to believe that the boat’s operator is intoxicated with drugs or alcohol. A boat owner that is suspected of drinking and boating can be charged with a BWI, boating while intoxicated and face charges and penalties similar to those that are imposed upon land-based driving under the influence of alcohol. More importantly, those who operate a “partying boat” under the influence of alcohol risk injuring, killing or drowning their passengers. A larger boat can accommodate upwards of ten to twenty people at a time and the risks of a catastrophic accident are very real if the boat’s captain is drunk. A first-time drunk boat captain can receive up to 6 months in jail and a one-year boater’s license suspension. Second offenders can receive up to 2 years in jail and a $4000 fine. A third boating while intoxicated conviction can net the captain up to $8000 in fines and a life-changing 10-years in prison! That’s how serious boating while intoxicated is being taken by Connecticut authorities. In 2015 over 500 people died in the United States as a result of some 4000 boating accidents. 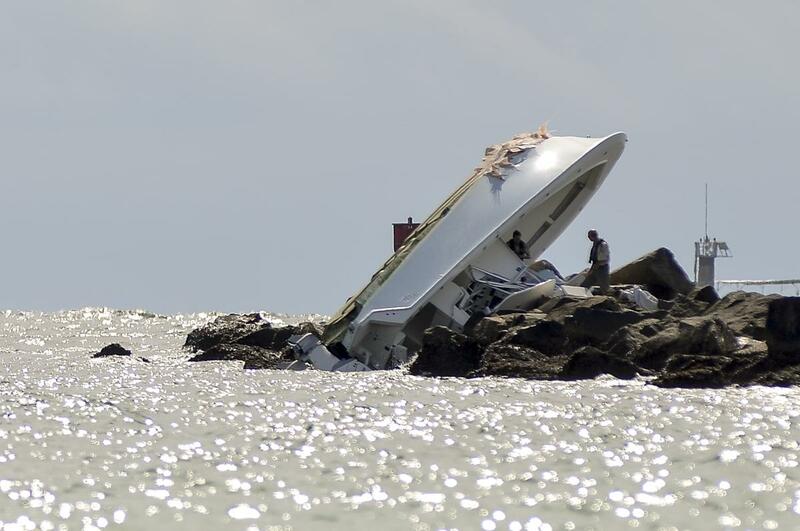 Additionally, more than 3000 boaters were seriously injured. At the law offices of Eagan, Donohue, Van Dyke & Falsey, LLP, our attorneys are aware of the catastrophic, life-altering injuries and even wrongful deaths that can result from a simple afternoon of partying on a friend’s boat. We are well aware that virtually every boat party includes the use of alcohol and the boat owner is responsible for the safety of its passengers. If you or a loved one have been injured, or if you have had a loved one killed in a boat accident, please immediately contact the Connecticut boat accident lawyers at Eagan, Donohue, Van Dyke & Falsey today for a free initial consultation. 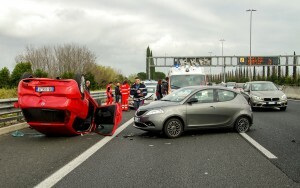 Why You Should Have High Uninsured Motorist Coverage Insurance Limits. The state of Connecticut requires drivers to carry a minimum of $20,000 bodily injury coverage per person and at least $40,000 per accident. In addition, drivers are required to carry this same minimum amount of “uninsured motorist coverage”. 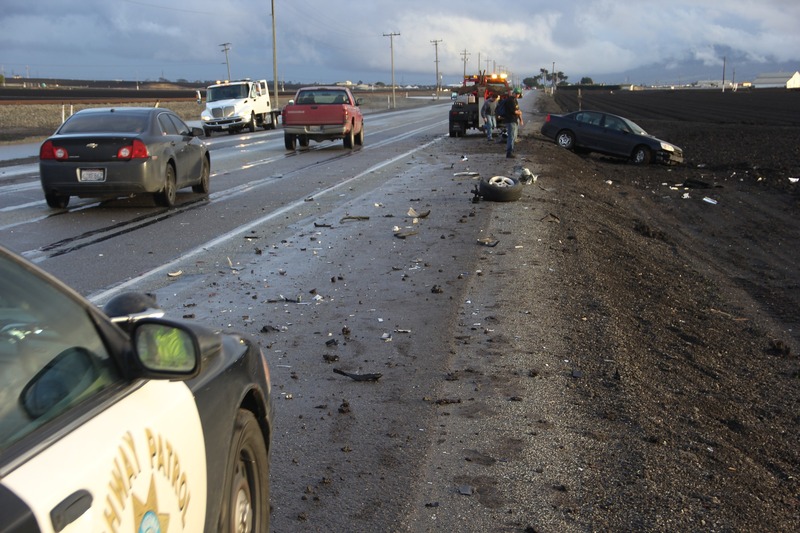 The purpose of this requirement is to protect you should you be injured as a result of a negligent driver who is uninsured (has no coverage), or is underinsured (has insurance but not enough to compensate for your damages). A driver may opt to include a greater amount of uninsured motorist coverage insurance than the minimum. We recommend that you do. Since hospital, doctor and follow-up care expenses can run into the hundred of thousands of dollars, it is an excellent idea to purchase the most uninsured motorist coverage that you can reasonably afford. Uninsured motorists usually do not have other assets that you could attach in a lawsuit should you need to pursue one. In addition, although you could sue the insurance company of a negligent driver that caused you to suffer a personal injury or wrongful death, obviously in the case of an uninsured motorist there is no insurance company to sue. If you are involved in a motor vehicle accident with an uninsured or underinsured driver, it is important that you contact our law firm to review your insurance policy and discuss your options. Even if you are covered by an adequate amount of uninsured insurance in your own policy, getting your insurance company to actually pay it to you may be another matter. Once an accident occurs, your insurance company takes off its good neighbor hat and replaces it with its “snidely villain” hat as you are now their adversary and their goal is to pay you the minimum amount possible, all while still retaining your future business of course. Don’t be mislead by the statements of your insurance company lawyers who are trained to get you to settle for the least amount possible. Call the law offices of Eagan, Donohue, Van Dyke & Falsey, LLP today for a free initial consultation. Motorcyclists Beware! Cars Are Everywhere! 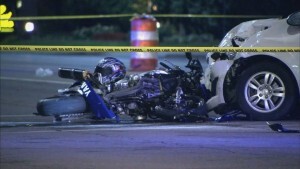 Connecticut motorcycle accident lawyers at Eagan, Donohue, Van Dyke & Falsey, LLP have handled numerous wrongful death matters and injury claims involving accidents between motorcycles and motor vehicles and no one has to tell you that riding a motorcycle is a hazardous activity. Just how hazardous it is, however, is important to know, especially for young people or retirees who think that they may enjoy becoming a biker. Hopefully, this short, to the point essay may change your mind. The following statistics demonstrate that if you get on a motorcycle, there is a good chance you many never again be able to think straight, walk or talk properly again, and you may even die. One good way to illustrate just how dangerous motorcycles can be is to compare them to an alternative form of transportation like driving an automobile. The U.S. National Highway Traffic Safety Administration is the official government agency that gathers and compiles statistics about motorcycle accidents amongst other things. Including those riders who take the precaution of wearing a helmet, the rate of getting in an accident when riding a motorcycle is about 600% or 6-times greater than if you were operating an automobile. If you are in a motorcycle accident you are 3500%, 35-times more likely to be killed than if you had a car accident. The risk of living through a motorcycle crash and being seriously injured such as being paralyzed, suffering brain damage, or having to have a mangled limb amputated, is about 1600% or 16 times as great. About 80% of all motorcycle accidents cause serious injury or death compared to only about 20% of automobile accidents. Most motorcycles are known for their lightness and quickness. 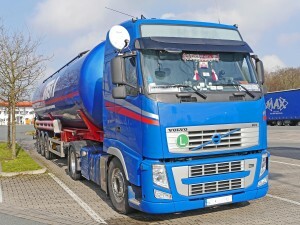 It is quite obvious that in a collision with another motor vehicle such as an automobile, package delivery truck, 18-wheeler or another type of vehicle, there is no question as to which win. Just the sheer weight and velocity of the other vehicle can produce forces that can rip a motorcycle rider to shreds or send one flying into a center divider, metal guard rail or into oncoming traffic. While other motor vehicles sport crumple zones, anti-lock braking systems, seat belt, shoulder restraints and other modern vehicle safety features, motorcycles offer virtually no protection in a crash other than the helmet that the rider is wearing. If you must ride a motorcycle, at least make sure that you buy the best helmet available and use it 100% of the time you ride. It is estimated that helmet use is a major factor in preventing traumatic head injuries and deaths to motorcycle riders. Connecticut laws mandating helmet usage by all riders was repealed in 1976. In 1990 a law was enacted that requires anyone operating or a passenger on a motorcycle who is under 18 to wear a helmet. As a parent, your number one priority is the safety of your child. 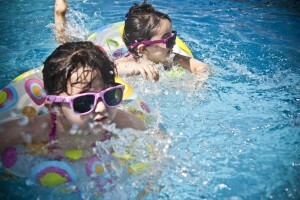 Swimming is an all-time favorite for children. However, you may have some concerns about the possible dangers water activity presents. From toxic chemicals to drowning risks, your reservations about swimming are completely warranted. Here are a few water safety tips that will grant you peace of mind while your child enjoys a day by the pool. Should you be concerned about chlorine? A pool full of people is liable to contain a multitude of pathogens. Bodies contain residue from perfumes, lotions, sweat and more. Water is also tainted by other sources such as bird droppings, decaying leaves and dead organisms. Chlorine is used to disinfect pool water, however it is an irritant that should be used sparingly. When chlorine is compounded with the other matter present in the pool, harmful disinfectant by-products can form. While this can be alarming, you can still allow your child to visit the pool, as long as you take precaution. If you can smell the chlorine, chances are there is too much in the water. Alert the pool manager of your concerns before heading to another pool. Always make your child shower before getting into the pool to rinse off any sweat and consumer product residue. Also be sure to take frequent restroom breaks to avoid any accidents in the water. Urinating in the pool contributes to the creation of those harmful disinfection by-products. Proper swim instructions teach your child the basics of being in the water. They will establish independence as they learn how to relax, breath and float. Swim lessons are recommended for kids starting at age 1. It has been proven that children ages 1 to 4, are less likely to drown if they have had formal water safety instruction. If you are a novice swimmer, you may want to consider taking classes as well. Swim safety classes are typically offered by your local YMCA or American Red Cross. Swim lessons are great to familiarize your child with the water, but you still must keep an eye on them at all times. Water safety classes do not prevent drowning incidents, they only help lessen them. Floaties and noodles are fun pool accessories, but do not rely on them for the safety of your child. If you would like extra protection for your little swimmer, use a Coast Guard-approved life jacket. This is the only floatation device that can prevent drowning. Always be present with your child when around a body of water. If you are in a party environment, appoint one or two CPR certified adults to be poolside. CPR training classes are recommended for all parents as a safety precaution. You can find classes at a local fire department, hospital or recreation center. Before visiting a pool, let your child know the importance of safety. Instruct them not to run around the water or dive in prohibited areas. They must always ask an adult for permission to swim, and if they are swimming with friends, have them hold each other accountable. If they lose sight of a friend while swimming, tell them to notify an adult or a lifeguard immediately. Enforcing these rules make accidents less likely to occur. During the hot summer months, few things compare to a day at the pool. Children in particular are drawn to the water like magnets! When it comes to water-related activities, you can never be too safe. Using these tips will create an enjoyable, incident-free environment for you and your child! Article courtesy of Alex Robbins of Safety Today.